In my defense, the majority of the time it’s true. Depending on the space and the topics being discussed, some blogs just do not lend themselves to subscriptions. I’m sorry, but a weekly newsletter about big data server monitoring solutions doesn’t fire anyone up in the morning. We had one simple CTA (see it?) in the secondary nav with a completely unreadable form fill when you clicked on it. Even if we did grow our XML subscriber list, which was already significantly sized by nature of having had a blog exist for 10 years, how much impact could a bit more traffic possibly make? The blog already generates 20-25k visitors per month from organic traffic alone. Not to mention, no one clicks on Feedburner/Feedly links anyway. What was I missing? I’m all about throwing vanity metrics to the wind; I want to talk about inbound qualified leads.That’s my baby. That’s my cat’s pajamas. Why is it a good use of my time to try to generate a couple extra top-of-funnel blog visitors per month? Then Tom Agnew, founder and president of Brafton, had a vision of a newsletter that delivers valuable content to our audience, then nurturing that audience into potential customers. Crazy, I thought. And then I read a book. And then I ate another big fat slice of humble pie. The fact of the matter is there are people who do enjoy newsletters, and they do prefer to communicate via email. 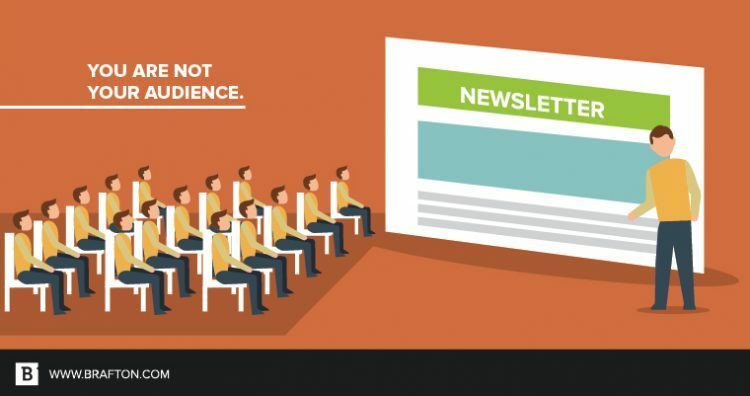 Further, newsletters are an incredibly valuable first step to starting a dialog and relationship with your audience. It opens opportunities to share other assets people may find valuable, like eBooks and webinars. I didn’t understand the value of nurture. Fully onboard the newsletter train, I wondered, “how do you go about getting people to subscribe?” They certainly weren’t coming in droves to click on our little nav button. Everyone loathes pop-ups to their very core. I know I do, especially when I’m on mobile, because they make the “x” button the size of a pinhead and every time I click it my phone tries to download Candy Crush. There is no way these work, right? Wrong again. More pie for you, Jeff. According to that book, subscription pop-up CTAs generate 300-500% more subscriptions than any combination of top and bottom nav CTAs only. That can’t be true, I thought. But just in case, we had to try it. So we created a nice looking opt-in form on a 20-second timer that would only pop up for people who hadn’t been cookied in the last month. No magic, just a pop-up. Free rounds a-coming. Well how do you like that? For all blog landing page visitors, the average time on page went up 58.6%, along with a conversion rate that went up fivefold. We can put that theory to bed. So how do you nurture these subscribers? And you know what the beauty of this template is? 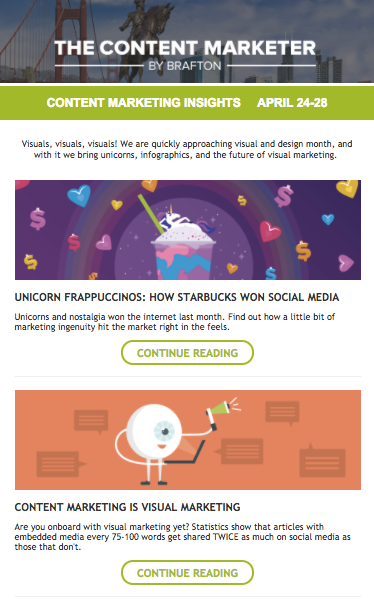 We can swap out images and stories on the fly and create a brand new newsletter within 15 minutes. The longest time investment is deciding which articles to curate. 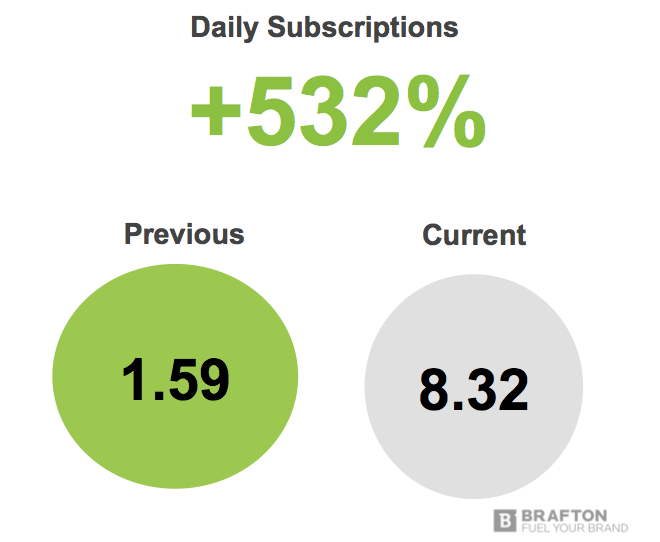 This newsletter subscription machine feeds itself. 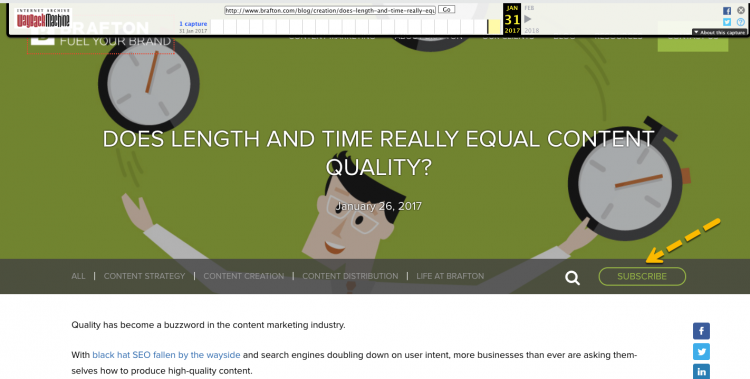 Readers spend longer on the site, they subscribe 532% more often, they go into our nurture campaigns in which we deliver them eBooks and other advanced marketing assets, and all we have to do is change out a few pictures and links once per week. Everyone gets something of value. Leaving all these potential customers hanging in the breeze seems silly to me. 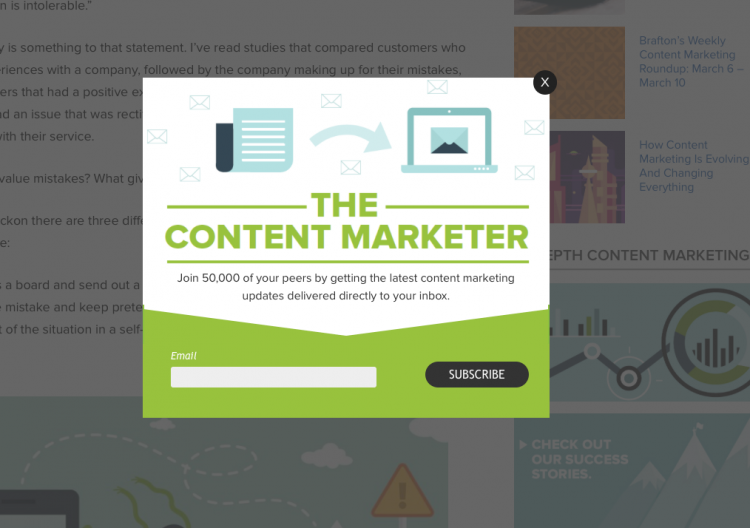 So why wouldn’t you create a newsletter program and take advantage of that potential as well?